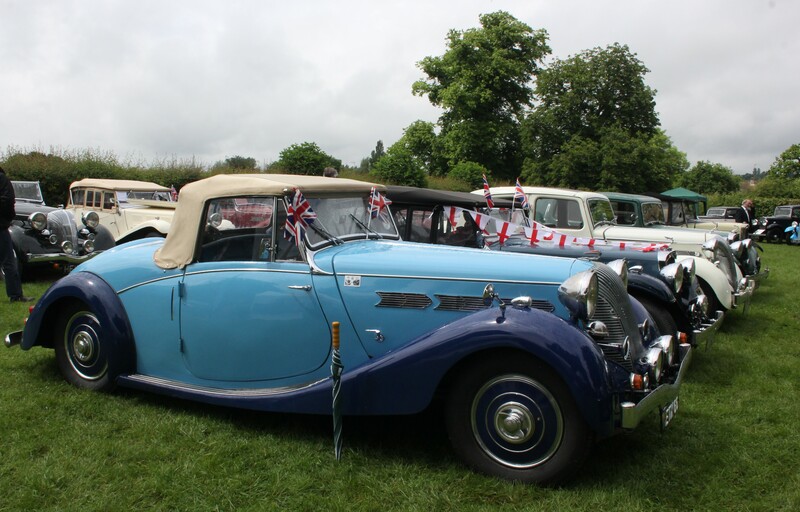 Weather fails to dampen enthusiastic turn out at Pre 1940 Triumph Motor Club Annual Rally! With several motoring events around the country being cancelled due to bad weather, it takes a lot more than a shower or two (in fact heavy rain) to dampen the spirits of the enthusiastic members of the Pre–1940 Triumph Motor Club! Certainly the enthusiasm showed, with many members dressing in appropriate attire, as well as decorating their cars in celebration of HM the Queen’s 90th Birthday. 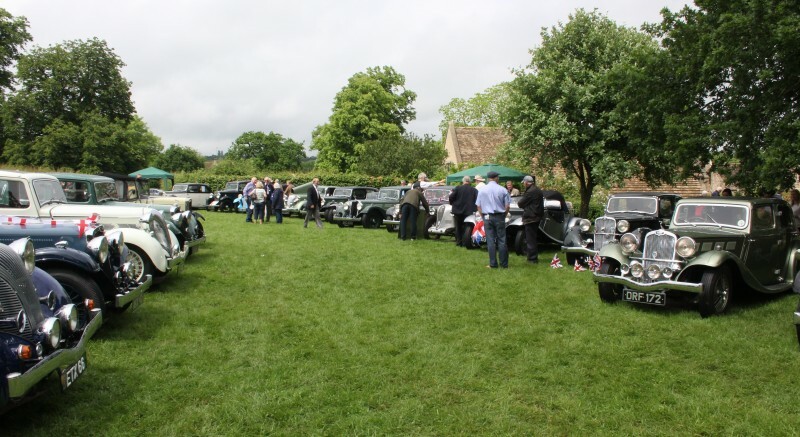 A total of 36 cars made it to Sulgrave Manor near Banbury on 12th June which was one of the best in the last few years. Nearly all the cars were driven there under their own steam, one a Gloria Six Tourer, having been driven there from Holland by its owner, Bert Mooijekind. It was also good to see several overseas members from Portugal, Holland and the USA, who had come over for the event. The start of the day looked ominous – steady rain greeted those who had arrived from different parts of the country. By lunchtime this had set in and for the first time for many years the Club’s AGM and lunch was held indoors, with thanks to the management of the manor. By afternoon the weather began to improve although this was for only a brief spell. 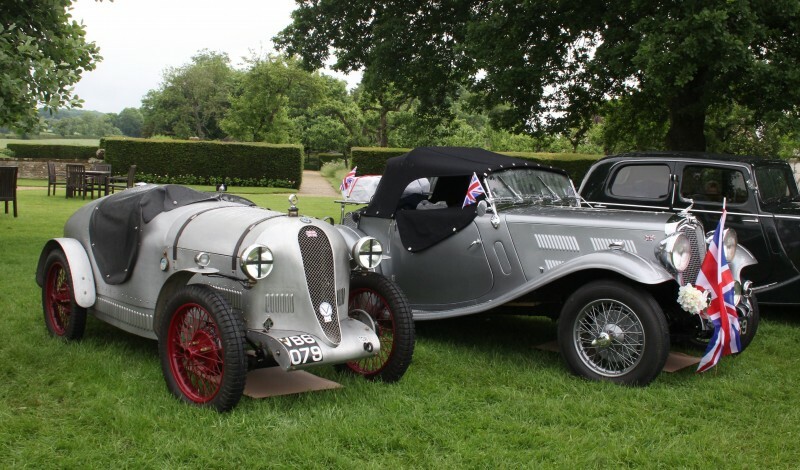 The 36 cars on display covered a period of 11 years, the oldest being a rare 1929 Super Seven owned by Richard Hill (one of only three) that survive and the newest being three 1939 Dolomite Roadsters. An unusual car on display was David Wood’s Super Seven which he recently restored and rebodied in the style of a ‘Brooklands Racer’. 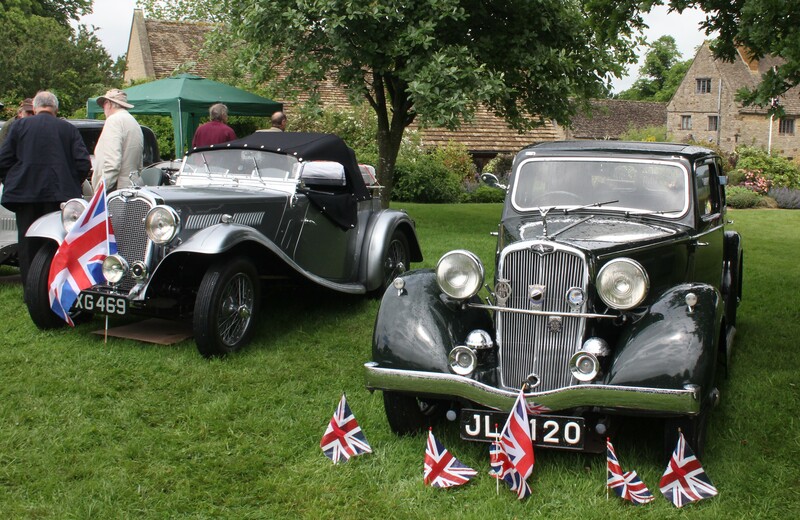 The event also attracted several sole survivors including Brian Bishop’s 1936 Gloria 2-Ltre Vitesse Tourer which he has owned since the early 1960s. It is the only one of its type recorded. On display for the first time was a very nice 1937 Triumph Gloria Southern Cross (one of just a handful to be fitted with Triumph’s own 14/60 engine, compared with the Coventry Climax engine flitted to most models). This car had just been rebuilt and had only travelled a few hundred miles before the rally. Also on show was a recreation of Triumph’s Dolomite Fixed-Head Coupe. Triumph built just one prototype for the 1938 Earls Court Motor Show. Rob Green, who has restored many of the cars in the Club, set about building this Dolomite on very similar lines 3 years ago and finished it this year. Rob deservedly won the Concours award for this outstanding achievement. Talking of awards, Martin Johnson Howe own on BXP 267 a 1935 Gloria Six vitesse Saloon won for the sixth year in a row the Dolomite Trophy as the member who has done most to promote pre 1940s Triumphs and the club. The club is going from strength to strength and currently has just under 300 members the highest in its history. More details of the club can be obtained from Graham Shipman at registrar@pre-1940triumphmotorclub.org. The Club is particularly pleased to hear from those who previously owned pre 1940 Triumphs and may have documents or photos to share.